The soil quality is influenced by tiny creatures known as microorganisms. If this system is disturbted by environmental influences, plants struggle to develop strongly without external intervention. 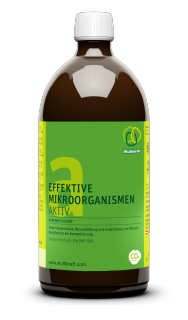 To restore the natural cycle, the necessary support – Effective Microorganisms – is added by regular watering. 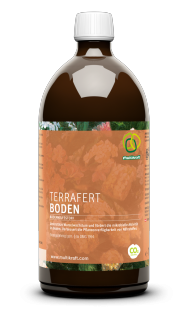 Mix EM Active and Terrafert Soil into the water and water the plants immediately, as this is when the Effective Microorganisms are most active. Add to the water before every watering. 15 x EM Ceramic Grey Pipes / 1 x EM Ceramic 35-mm Pipe per 10 litres of water reduce water clusters, allowing nutrients to be absorbed more effectively by the plant. Simply add to the water and leave to stand for a short time, then mix in the Multikraft products. Place the EM ceramic grey pipes in the rainwater tank. 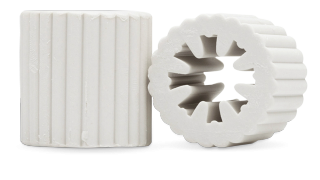 The best effect of EM ceramic is achieved by threading the ceramic onto a nylon cord (ideally with spacers).